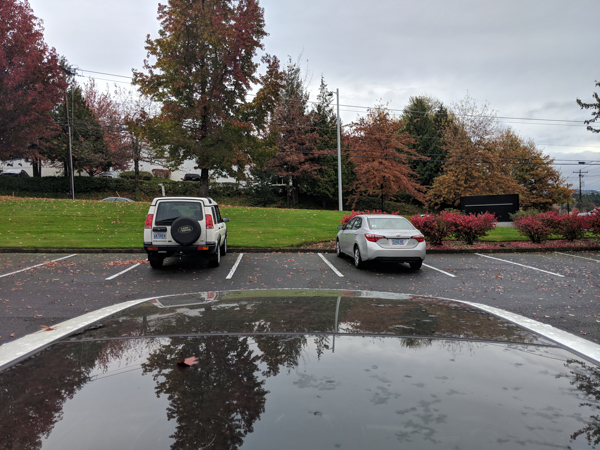 We’re always looking to figure out ways to stick cameras onto our cars. We had an idea that by using the antenna base, we could provide a sturdy and secure location for an action camera that would provide an interesting point of view. Using parts we already stock for other products in our lineup is always a good thing. 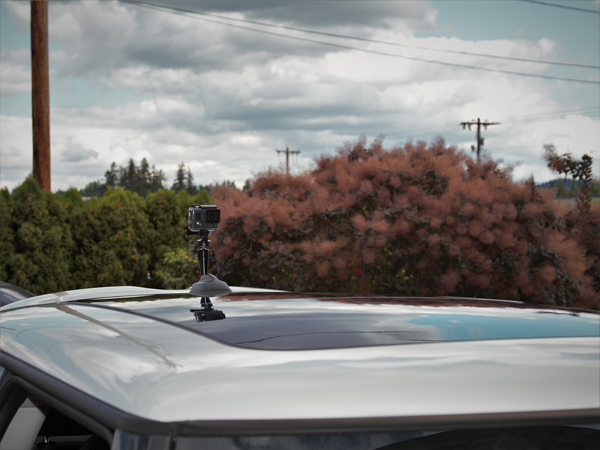 We have these ball-pivot camera mounts that we’ve been using for our Passenger Camera Mount, and since we already make Stubby antennas for practically every car on the road, it was sort of a no-brainer to come up with something that would merge the two together. 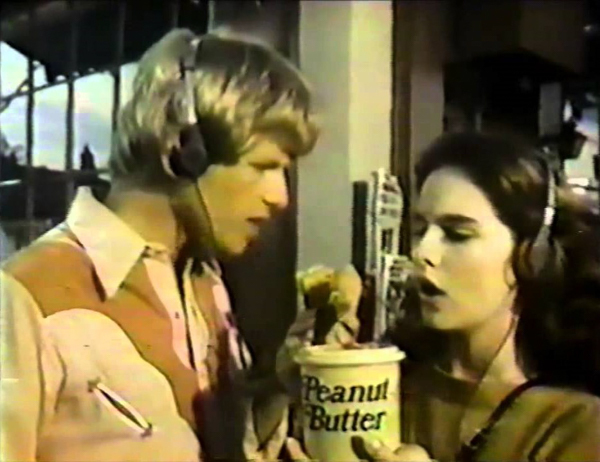 Think of the old peanut butter cup commercials when two people would turn the same corner, bump into each other and BAM! Something awesome is created! Taking measurements, making a few prototypes, and running some road tests helped us develop an optimal shape that would be adjustable, aesthetically pleasing, and minimize vibrations. A cool side effect is that it still functions as an antenna! The lower half of the mount is machined and anodized locally. It was designed to flow into the upper which is an off-the-shelf camera ball-pivot mount. The finishing touch is a standard ¼-20 tripod mount that should function with pretty much every action camera currently on the market, so it’s extremely versatile. Installing the mount is incredibly easy! 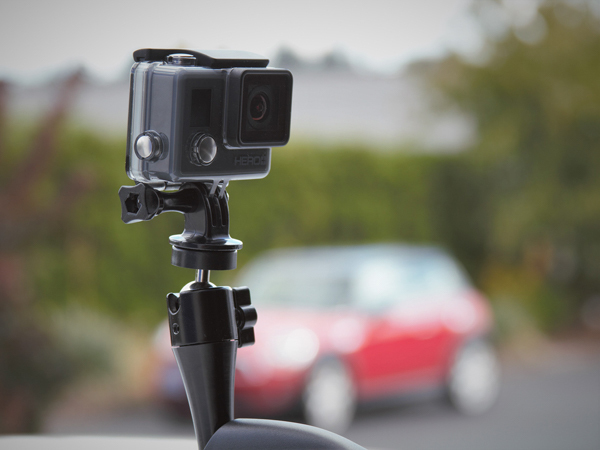 Simply unscrew your antenna, spin the Action Cam Antenna Mount on in its place, and make some simple adjustments to aim your camera in the desired direction. No worries about failing suction cups or double-sided tape as your externally mounted cam is now essentially bolted on. It offers some pretty exciting footage too! These mounts fit all MINIs that have a "screw-on" type antenna. If you have any questions, feel free to ask them here! I have this thing, and it’s a solid product! Thanks! If you have any questions or ideas for how it could be improved, we'd love to hear from you. Looks like a great addon. Does it affect the radio reception? More specifically, AM stations. Presently, not looking for an antenna upgrade, but thanks anyways. If radio reception is important to you, swap the camera mount when you get to your event, then change it back out when you leave. Sure is. We've been using inventor for over a decade, we love it. Based solely on that info, I'm going to buy a bunch of your wares, haha. Good question! The stud design is the same, tapped with M10 thread at the end, but it is possible that the stud that came with your Platypus is not long enough to provide clearance for the GoPro mount. We like to fit the plate very tight to the bumper (it looks good that way and clears sensors). If you are not using a battery pack on the back of your GoPro it could work out. Just try mocking it up and send us an email [email protected] and we can put together a cart with just the pieces you need.